This is one of the oldest board games that exist. 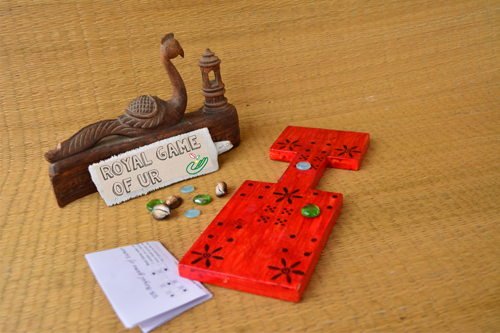 Dating back to the Mesopotamian age, the royal game of UR draws insights into the civilization's beliefs in the afterlife. Kavade's version of the game is presented on a wooden board, with colourful stones as game pieces.